Windows DreamScene (also Motion Desktop) is a nice extra feature that plays high definition video content or movie as desktop background with animated wallpaper instead of static graphic (video demo). Unfortunately, Microsoft only offers the feature to Windows Vista Ultimate users for free download, and then discontinued it from Windows 7 onwards. But it’s not impossible for Windows Vista Home Premium, Home Basic, Business, Enterprise and Starter edition users, and for those Windows XP, Windows 7, Windows 8, Windows 8.1, Windows 10 or other Windows version user to set a video as animated desktop wallpaper. Here is a trick to use an alternative method to create DreamScene wallpaper effect in non-supported Windows through the ability of VLC Media Player to set video as background desktop wallpaper. In VLC’s menu bar, select Tools -> Preferences. In the “Simple Preferences” windows, select the Video button. 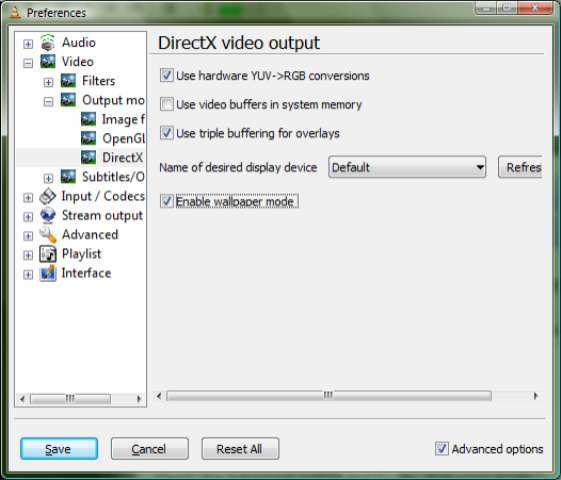 In Video Settings section, select DirectX (DirectDraw) video output from the Output dropdown list. Close and restart VLC Media Player. Choose a video and begin playing it in VLC (if you have set file association of the media with VLC, you can double click on a video to automatically open and play it in VLC). 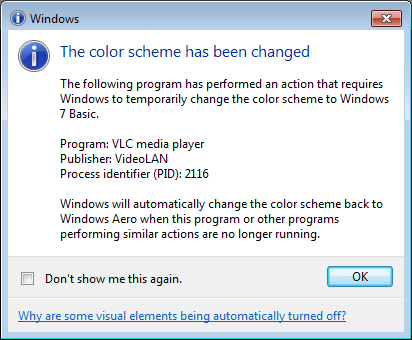 If you’re using Windows Aero theme, the following error message indicated the color scheme has changed to a Windows Basic theme may be shown, where VLC Media Player automatically switch to a Windows Basic theme, and switch back to Windows Aero theme when the program is closed. 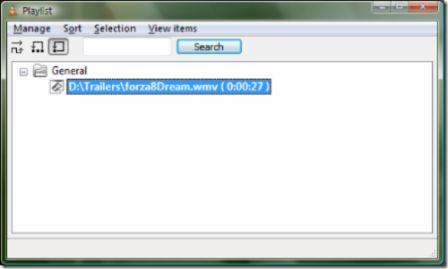 Right-click on the video or select Video from the menu bar, select Video, then Set as Wallpaper or DirectX Wallpaper. Minimize the VLC player if it’s at the foreground. If the video doesn’t loop, or if you do not configure VLC Player to repeatedly play current media in loop, you can still do so after playing the video. Simply click on View then select Playlist. Highlight the video media content that is playing and click on Repeat One or Repeat All button as shown below to loop the video for non-stop video wallpaper. Note that the video must be encoded in a video format supported by VLC Player such as MPEG, AVI, MP4, WMV, FLV (Flash Video) and etc. Else you will need to convert the video clip to the supported format. Here is a video showing how to set the video to start the “DreamScene” in Windows XP, and the relatively low system resources and memory that been used for the effect. Download and install VLC Player for Windows (older version only). Run VLC Media Player, go to Settings -> Preferences, expand Interface and click on wxWidgets. In the bottom right corner of “wxWidgets interface module” window, click on Advanced options to show advanced settings. Then uncheck the Taskbar check box in order to remove VLC Player title from the taskbar while the program is running. Check Systray icon if you want to enable Systray (system tray or notification area) icon instead. Next, expand Video -> Output Modules and then select Direct X. In bottom right corner of DirectX Video Output window, check the Advanced Options check box in order to see all the settings available. Check and tick the Enable wallpaper mode check box. Then, select Playlist and then check or tick the Repeat current item checkbox. Press Save button when done. Open and play any video that you would like to set as motion wallpaper in VLC Media Player. If the video hasn’t yet been set as desktop background, right click on the video and click on Wallpaper. The video or movie will be set as if it’s DreamScene motion desktop background wallpaper.